BIBLIOGRAPHIA IRANICA: Manichaeism East and West. Notice of a new book: Lieu, Samuel N. C. (ed.). 2017. Manichaeism east and west (Corpus Fontium Manichaeorum. Analecta Manichaica 1). Turnhout: Brepols. Follow the link for the TOC. The Book of Giants figures in a couple of the articles. For many past PaleoJudaica posts involving the Book of Giants, see here, here, here, and links. LARRY HURTADO: Early Christian Use of “Messianic” Psalms. With focus on a surprising fact about Psalm 110:1. The relationship among Judaism, Gnosticism, and Christianity perpetually eludes easy description. While it is clear that by the second and third centuries of the Common Era these three religious groups worked hard to distinguish themselves from each other, it is also true that the three religious traditions share common religious perspectives. Jarl Fossum examines this common heritage by proposing that the emergence of an anticosmic gnostic demiurge was not simply Gnosticism's critique of the Jewish God or a metaphysical anti-semitism. The figure of the gnostic demiurge arose from Judaism itself. Fossum demonstrates that the first gnostic versions of the demiurge constituted a subordinated dualism. Fossum then turns to Judaism, in particular Samaritanism's portrayal of a principal angel. In distinction from non-Samaritan Jewish examples -- where the Angel of the Lord bears the Divine Name but is not a demiurge, or examples where the Divine Name is said to be the instrument of creation but is not an angel or personal being -- Fossum discovers a figure who bore God's name, was distinct from God, and was God's instrument for creation. Only in Samaritan texts is God's vice-regent personalised, angelic, demiurgic, and the bearer of God's name. In the end the book reveals that not all gnostic speculation was anti-Jewish and, indeed, emerging gnostic and Christian traditions borrowed as much from Judaism as they criticised and rejected. Thus the Museum of the Bible, opening on November 17 not far from the National Mall in Washington, D.C., appears at a critical time. How do you engage the citizens of an increasingly secular country, whose founding was nevertheless indelibly marked by principles found in this book, with its history? How do you create a space that acknowledges the cultural primacy of the Bible while also respecting the heterodox religious past and present of the United States? How can an institution talk about one of the world’s most controversial texts without itself becoming a flashpoint for controversy? The short answer: It can’t. Washington’s Bible museum won’t touch political hot potatoes. Funded by evangelical Christian Steve Green, the controversial Hobby Lobby head, institution claims 'non-sectarian' mission (MAGGY DONALDSON, AFP/Times of Israel). Read the actual Dead Sea scrolls, see the Nile turn to blood and visit Jesus World: Billionaire's $500m Bible Museum opens in DC after he was caught buying stolen artefacts from Iraq (Rory Tingle, Daily Mail). There are other articles, but I think these give a reasonably rounded picture. And they have some good photos and videos. For much past PaleoJudaica coverage of the Museum of the Bible, and also of Hobby Lobby and the Green Collection, start here and follow the many links. CALL FOR PAPERS: 9th International Meeting, International Organization for Targum Studies (IOTS) July 9-11, 2018, University College London. H-JUDAIC: JOB: Princeton University, Program in Judaic Studies, Postdoctoral Research Associate. A renewable one-year post "to pursue research on any aspect of Judaic Studies" and to do some teaching at Princeton. The application deadline for full consideration is 15 December 2017. In a way, the Museum of the Bible will open as a work in progress: while all of its exhibition spaces and interactive rooms will be ready for visitors, museum leaders give the impression that the museum’s approach to displaying artifacts—especially problematic ones—is subject to change. This does not detract from the spectacular experience the visitor is bound to have—especially the nearly overwhelming experience of the grand entrance and the appreciation of the efforts of faithful scholars who over the centuries tirelessly produced the Biblical manuscripts in the History of the Bible exhibition. But the Museum of the Bible has also inadvertently yanked the debate over the ownership of history and the dark underbelly of the antiquities black market into the public realm, which will hopefully inspire visitors to pause and reflect on how “Biblical” artifacts are properly acquired, researched, and displayed. 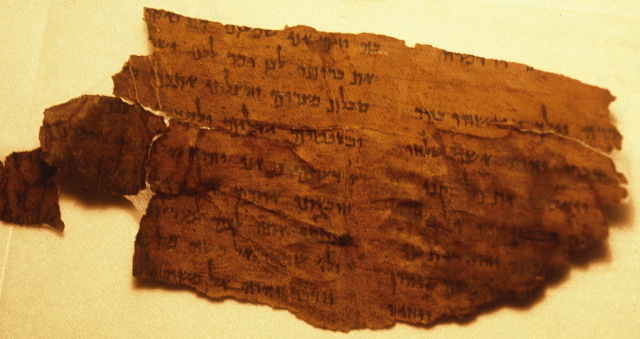 Background on those dubious Dead Sea Scrolls fragments is here, here, here, and links. WILLIAM ROSS: LXX SCHOLAR INTERVIEW – DR. BEN WRIGHT (Septuaginta &C. Blog). I have noted some past interviews of LXX scholars by William Ross here and links. THE HOLY LAND PHOTOS' BLOG: Baram — The Synagogue (Carl Rasmussen). Almost all travelers to Israel will visit the justly famous synagogue at Capernaum on the north shore of the Sea of Galilee—and some will even visit the one at nearby Chorazin. However, the best preserved of the “Galilean Type” synagogues is the one located at the not-too-frequently visited site of Baram. It is located in Upper Galilee, about 1.2 mi. [2 km.] south of the Israeli Lebanese border. ANCIENT JEW REVIEW: Book Note | Urban Dreams and Realities in Antiquity: Remains and Representations of the Ancient City (Jordan Conley). Adam M. Kemezis, ed. Urban Dreams and Realities in Antiquity: Remains and Representations of the Ancient City. Leiden: Brill, 2015. Jerusalem, both New and otherwise, receives its due. BRICE C. JONES: A Review of The Greek New Testament, Produced at Tyndale House, Cambridge. I noted the volume recently here. DR. RABBI ZEV FARBER AND RABBI DANIEL M. ZUCKER D.D: Rebekah Ran to her “Mother’s Household”: Where Was her Father? (TheTorah.com). Betuel, Rebekah’s father, mysteriously appears and disappears in the negotiations over Rebekah’s marriage. It seems that many solutions to the problem have been proposed. Redaction criticism has, not surprisingly, gotten involved too. Not mentioned in this essay, but Aramaic Levi 62 seems to solve the problem by assuming that Laban had a son who was named Bethuel after his grandfather. But what about other kinds of punishments, which are not capable of being so symmetrically applied? Tractate Makkot begins by inquiring about a case in which witnesses falsely testify that a priest is ineligible for the priesthood because he is the son of a divorced woman. If their lie is exposed, does that mean that the witnesses should be declared ineligible for the priesthood? This is what a plain reading of the biblical verse might suggest, but in practice, this would make no sense—what if the witnesses were Israelites, not Kohanim, and therefore ineligible for the priesthood to begin with? To ensure that such conspiring witnesses don’t get off scot-free, the Mishna imposes a punishment of 40 lashes. OPENING THIS FRIDAY: In the Capitol’s shadow, massive Museum of the Bible readies for opening (Adelle M. Banks, Religion News Service). Lots of good background information in this one. For many other past posts on the Museum of the Bible, Hobby Lobby, and the Green Collection, start here and follow the links. DR. MALKA Z. SIMCOVICH: Rebecca’s Character (TheTorah.com). Rebecca, informed by God of her sons’ destinies, thwarts her husband’s effort to bless Esau. The Torah thus portrays an assertive Rebecca in contrast to a weak and uninformed Isaac. Early Jewish interpreters took conflicting approaches to this unusual depiction of a patriarchal couple. THE FACES AND VOICES BLOG: The Gospel of Judas on Sale? (Roberta Mazza). Not now, some years ago. Another interesting story in Moss and Baden, Bible Nation, on which more here and links. Background on the Gospel of Judas is here with many links. DR. RABBI ZEV FARBER: Who Was Rebekah’s Father? (TheTorah.com). Redaction criticism to the rescue. TALMUD WATCH (? ): To Really Dig the Talmud, Try Reading It Drunk. What wine goes well with Rabbi Zeira? An upcoming evening of text, art, and booze has the answer (Gordon Haber, Tablet Magazine). [Wine merchant H. Ronald] Jordan has a full head of silver hair with an equally full silver mustache. We’ve met to discuss DRUNK, an evening of art and performance inspired by Jewish texts, coming Saturday, November 18th, at the 14th Street Y. Jordan is the official sommelier for the event, which was put together by LABA, a kind of incubator for Jewish art and culture sponsored by the Y. (Full disclosure: I was a LABA fellow in the 2016-17 season, and the spiritual guides for the evening are the Tablet’s Liel Leibovitz and noted novelist Ruby Namdar). DRUNK combines nine LABA artists with five texts and five wines. Jordan’s letting me taste three wines, in order to “keep a little mystery for the audience.” It also seems prudent to limit the number of tastings, because I had to bring my six-year-old son to the interview. The next text is less tendentious. It’s the famous Talmudic tale of Rabbi Rabbah and Rabbi Zeira and their ill-fated Purim party. The rabbis get hammered, as you do on Purim. But later that night, Rabbah is so drunk that he slays Zeira. The next morning, Rabbah begs God for mercy, and Zeira is revived. The following Purim, it’s no surprise when Zeira refuses Rabbah’s invitation: “Not every time does a miracle occur,” says Zeira. Meaning: Who knows if Hashem will bring me back the next time, and anyway Rabbi Zeira is a mean drunk. SAD NEWS: Karl Katz, Museum Director in New York and Israel, Dies at 88 (SAM ROBERTS, NYT). Karl Katz, who was so entranced by an art history lecture in college that he went on to become a founding curator of the Israel Museum, convey the Metropolitan Museum of Art’s vast collection to wider audiences by video, and play a key role in finding a home for the International Center of Photography, died on Wednesday in Manhattan. He was 88. He earned a bachelor’s degree in art history and Semitic studies and a master’s in fine arts and archaeology at Columbia. He completed his doctoral thesis in early Hebrew manuscripts from Yemen but never fulfilled the language requirement for his doctorate; he said he could not bring himself to learn German so soon after the Holocaust. BOOK REVIEW: Mendelsohn, Amitai. Behold the Man—Jesus in Israeli Art. Jerusalem: Israel Museum, Jerusalem and the Magnes Press, Hebrew University of Jerusalem, 2017. Pp. 312 + 210 color illustrations. $ 40.00 cloth. By David Sperber in Religion and the Arts 21 (2017) 567–581. Posted online by Magnes Press. I noted the exhibition here and the book here. This first volume of Mark J. Boda's two-volume set on Zechariah showcases a series of studies on the development of Zechariah as a book and its role within the development and rhetoric of the Book of the Twelve. This second volume of Mark J. Boda’s two-volume set on Zechariah showcases a series of studies tracing the impact of earlier Hebrew Bible traditions on various passages and sections of the book of Zechariah: 1:7–6:15; 1:1–6/7;1–8:23; and chapters 9–14. These two volumes showcase a series of studies on Zechariah that Boda wrote over the past decade. You can also download both volumes for free as pdf files here and here.